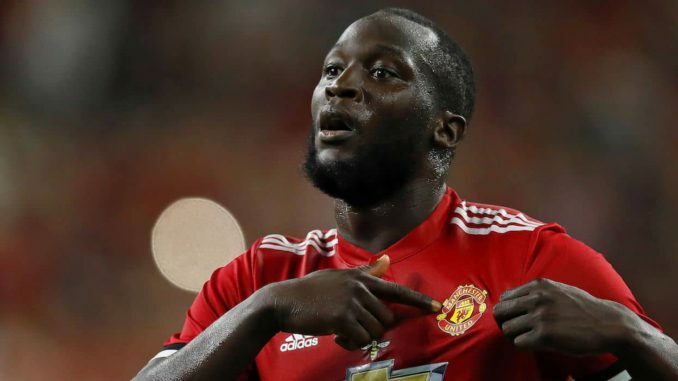 Manchester United supporters were delighted with the impact of Romelu Lukaku during Sunday’s 2-1 Premier League win over Chelsea. The Belgium international has been heavily criticised for his limited impact in the big games, but he managed to dispel the myth with a man of the match showing versus the Blues. The west London side opened the scoring first after a counter-attack which saw Willian find the net. However, Lukaku combined brilliantly with Alexis Sanchez and Anthony Martial in order to find the equaliser seven minutes later. The Belgian continued to be a strong presence in the Blues’ half, and he eventually dropped a sublime cross for Jesse Lingard, who popped up with his eight goal of the Premier League campaign. Romelu Lukaku might not have silenced all of his critics, but he has certainly answered a lot of questions today. Great performance in a crucially important match. A goal and an assist for him. In brilliant form. Romelu Lukaku and Nemanja Matic.. absolutely class. Take a bow lads. With the strike, Lukaku has now notched 22 goals during the ongoing campaign, and you can’t doubt against him touching the 30-goal mark, which should silence any neutral haters. The Belgian has yet to reach the prime of his career, and there is every likeliness that he will learn from his mistakes in order to make himself the complete striker, which every fan would surely adore. On present form, the 24-year-old remains the undisputed first-choice for the centre-forward role, and we can put a debate on his position to conclusion for the remaining months of the season.